Well, at least we know the series has at least 5 episodes. Based on the pacing, I'm guessing it'll end up being a 13 episode one. But it'd be sure nice if it were just the 5. 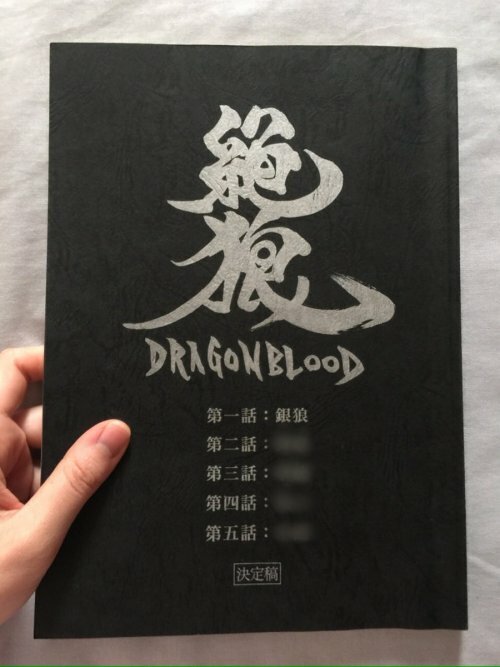 Should have checked the Japanese wiki, it says Dragon Blood will be 13 episodes, according to an interview with Amemiya. I'm certain this is done in order to move more budget to the Raiga and Ryuga movies. It might not necessarily be a bad thing. I've felt with the last two live action seasons that they tend to drag to long in the middle. Hana had a hype first few episodes and then dragged on for ages before hitting endgame. I think 13 will be good. The first few will have generic horror stuff and then hopefully the final 7 or 8 are all plot related.